Give importance to Pre-sales research: Sales personnel often fail to understand the importance of pre-sales research. The time invested in pre-sales goes a long way in converting the sales leads. You should know your prospective customer before setting up sales call/meeting. The first step is - going through the company website to get an understanding on what company does, and checking other sources on internet. It is always good to research the background of the client representative. This exercise would help you in having a strong introduction. Make a good first impression: There is an old saying that first impression is the last impression. This is absolutely true when it comes to sales. Prepare and practice your introduction well before meeting the client. Dressing up properly and reaching on time are some of the important factors in creating a good first impression. Know why customer should buy from you: Often sales people do the common mistake of taking only about the company/product/services they are selling. It is not important what the product is about. What is important is how it will help the customer. The key to sales is to put in clear terms why customer should give his business to you. Demonstrate how you differentiate yourself from your competitors and how your services/products will be beneficial to the customer. Do not give false information to the customers: Giving wrong information or making false claims to the prospective customer is a big NO NO. Sometimes, in order to close the lead, salespersons make commitments, which they may not be able to fulfill. However, the customer will eventually see through these making both you and your organization lose credibility with the customer. Integrity goes a long way to convert sales conversions and building strong client relationships. Properly close the sales meeting: It is imperative to close the sales meeting with proper next steps. Take notes during the meeting and send meeting minutes after the meeting. Also, closely monitor the action items required from you end and proactively communicate with the customer on the progress on those action items as per the communicated timelines. If you need information from the client, follow up with him/her to get the details. Proper closing and follow up shows your commitment and seriousness to the client and will go a long way in converting the lead. Don’t forget to say thank you: Last but not the least, if the client gives you his business, drop a thank you note him/her thanking him/her for giving you this opportunity. You can also call or visit the client to acknowledge that their business is important to you. 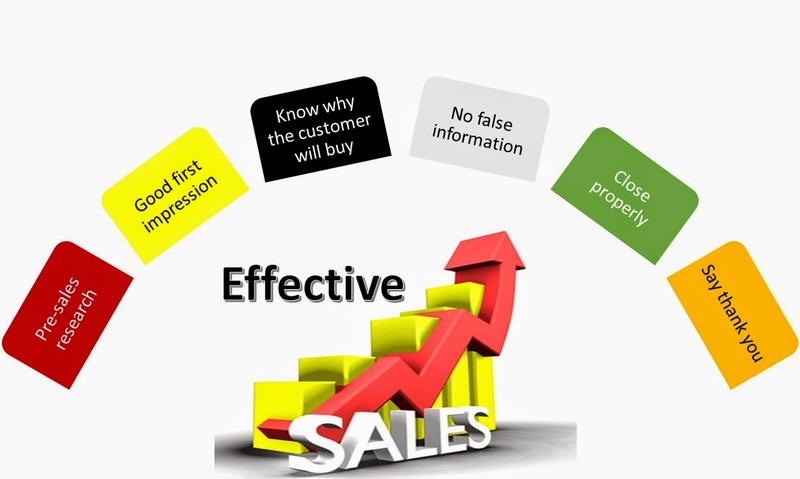 By following these simple, yet highly effective guidelines, you can see much greater results in your sales efforts!